Australian Carpentry was established in 2008 by Chad Schomberg on Sydney’s Northern Beaches, where he grew up. Chad took on one Apprentice to teach him the skills of the trade and also the values important to him; quality work, honesty and friendly, professional service. It is on this foundation that the business has grown into a well-known, reliable, carpentry outfit with over 20 full time staff. In 2010, Australian Carpentry moved into commercial carpentry, applying the attentive care of residential carpentry to the commercial market. Australian Carpentry now has a reputation for producing a high standard of custom carpentry within demanding commercial time frames. 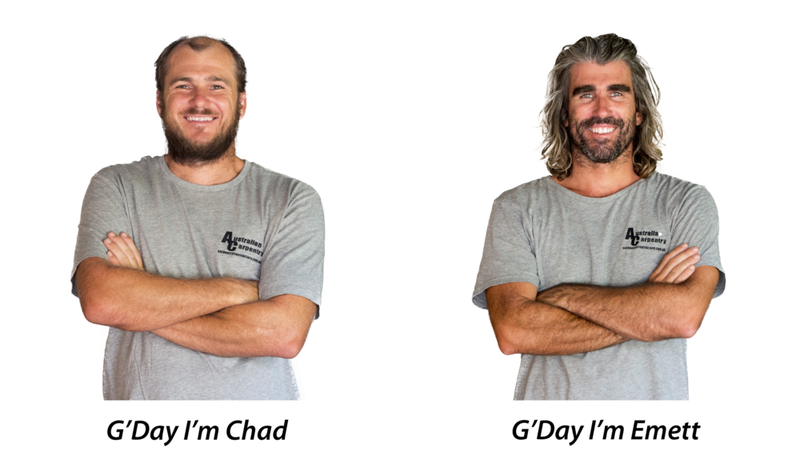 In 2018 Chad expanded the business up the East Coast and now manages the Coffs Harbour branch of Australian Carpentry. Emett Toms, a long-time member of Australian Carpentry, oversees all operations of the Sydney branch. Emett is a hardworking and reliable carpenter, partnered with Chad they make a solid team utilising their wealth of carpentry knowledge with a focus on quality to lead their team of carpenters. Australian Carpentry is available for a broad range of jobs – local residential projects or large scale commercial contracts. Contact us now for fast quotes, friendly service and quality carpentry.